As I noted in my last post, the Time Machine is a wonderful hobby store, and their gaming space ("The Portal") across the street is amazing in size and features. They have also wisely moved their gaming products inventory into the same space, which made it easy for me to support them by buying a few items. They should really post some pictures of the size and scope of their inventory on line, as the number and breadth of board games they carry is astounding! "Space Fighter Ion Tokens" (Litko Aerosystems). 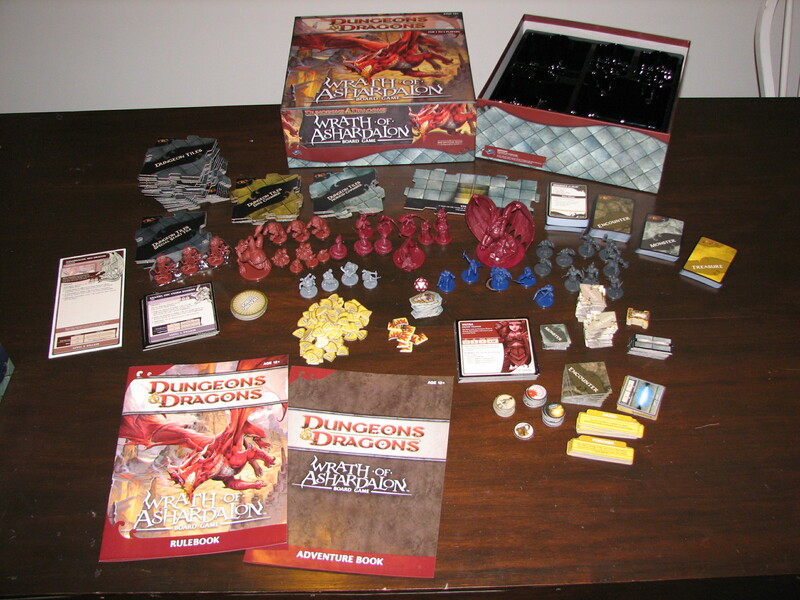 They also carry a range of gaming products, including dice, markers, paints, tools, and such. I found these nifty markers while browsing their selection of Litko products. I have no idea what they were really designed for, but in my games I like to place a marker when a ship retreats from combat by warping or hypering out, and these looked almost perfect for that (neon green or neon blue might be even better, but these will work fine). So I picked up a bag of ten of them, same price as direct from litko, minus the shipping. Excellent! Expect to see them in my Galactic Knights games, along with the Litko blast and Fusion explosion markers, etc. 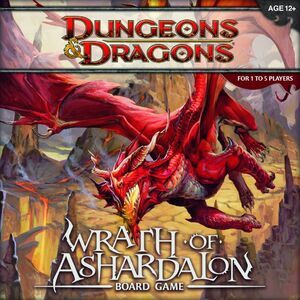 "The Wrath of Ashardalon" Dungeons and Dragons Adventure System board game. I have had my eye on this one for a while, and as they had it in stock at the TM, and as I was in a Fantasy mood after playing Hostile Realms... I bought it! I could have gotten it cheaper on line, but this is instant gratification, LOL, PLUS if we want this great space to be here next year and beyond, they need some revenue to support it! Photo of the components from another blog. One of my daughters likes board games (she's deadly in The Settlers of Catan, taking after her dad in that regard), and I thought she might enjoy this one. Each adventure lasts about an hour, so play time is reasonable. The rules are supposed to be easy to grasp, so I think it's a good gamble. I'll have to play a scenario or two solo. If it really is popular there are three others like it (castle Ravenloft and The Legend of Drzzit, plus some expansion modules. We got together yesterday at the gaming site of the Time Machine in Manchester, CT, which they have now named "The Portal", a suitable choice, I think. They have moved all their "Adventure Gaming" (i.e., Fantasy and Historical miniatures games, RP, card and board games) and related modeling, dice, etc inventory into this large space, along with plenty of table space for gaming and some sales of soft drinks and snacks for hungry and/or thirsty gamers. Overall, it is a very impressive operation. I hope that they are able to sustain it financially. I think moving the gaming sales into this space should pay off with more volume. Their inventory of Board games was astounding, actually. They also had a huge selection of board games available for rent on site by the day for $5, a very reasonable way to try out a new title or just share a game with some friends. This event was intended to allow a number of players from the HAHGS group to try out the Hostile Realms rules. Most of the guys had single figure mounted GW armies, so we were very flexible with the basing and units chosen, which worked out just fine. I must admit to being more than a bit rusty on the rules myself. I reviewed them some, and had planned to re-read the entire book Friday night to be better up to snuff. So, of course, Friday was one of the busiest days in the office in a year, and I didn't finish seeing patients until after 7PM. The best laid plans... Anyway, I packed the car up Friday night so that I could leave at 8:30 AM Saturday. Ordinarily it takes about 75 minutes to drive to Manchester from my house. So, of course, I hit a HUGE traffic delay on I-84 in Hartford - 4 miles long! It took me an hour to go those four miles due to some bridge renovation work. Fortunately for all except Jacob, Joe and Peter C were also coming from the West, and got ensnared in the same automotive debacle. You'd better be sure we all returned across the Connecticut River by a different route, as there was similar construction Eastbound as well. Anyway, I finally arrived at the TM at about 10:45, and we commenced setting up the two games, side by side on their largest table (about 4 feet wide by 12 feet long, I think. Peter C's Northern Barbarian Confederation army, with Trampler! OMG, is that THING huge! Most of his troops were freshly mounted on new bases for the game. I contributed a unit of old Grenadier (I think) Boar Riders to bolster his forces. Another view of the Barbarian host. Left half of the Greenskins. Right half of the Greenskins. The Barbarians, having gone BERSERK, have surge forwards, seizing the central ridge line. On the Greenskin right, the Inept manages to SUMMON a horde of snotlings. The Berserk Barbarians surge forward into MELEE. Not surprisingly, the Trampler tramples the Goblim archers. "Hey, what's this icky green stuff I have caught between my toes?" In the background, the Barbarian Shaman, having failed to do any damage with a prior Fireball, contemplates preparing a blockbuster spell... but never manages to progress any further with the elaborate preparations required. Barbarian hordes mix it up in melee with the Greenskins. The Orc archers try to shoot the Trampler but miss, however they repulsed it in the subsequent melee - must have been that last point blank arrow volley that dazed the best! The height of the battle, almost every unit is fighting it out with axe, sword, Pike or dagger! By the time this scrum was all over, there were 4 Orc units in Rout, all likely to leave the table and the game if the Orcs turned a MOVE card before they could attempt to rally them on a LEADERSHIP card. At the same time, quite a few of the Barbarian units had been defeated in Melee, most not severely. However, once a Beserk unit losses a melee, it loses the UP 2 for the Beserk status, and thus become somewhat inferior to their Orcish opponents. I think the Barbarians might have won with continued play, especially if they could make good use of their powerful shaman, but the Orcish Pike Block in the center was shredding Barbs right and left! Neither of these armies are what you would call forces that depend upon (or are capable of) much finesse! Jacob brought his Ogre army, which he stated as the Dwarf army. This fit due to their combination of toughness and the use of gunpowder weapons. As you can see, the model;s are anything but dwarfish - look at the tusk riders to the right, and the enormous ? Trolls. The rest of the Ogre battle line. A lot less units here than the Barbarians and Greenskins - quality is expensive! We played with a bit over 1200 points per army. Joe brought his old GW Bretonians, using the Army list for the Middle Kingdom. The rest of Joe's Middle Kingdom army. There are some more pictures on his own blog here and here. Lady Morgana, The Green Knight and the Standard Bearer may be adjusted, they all have a back story. At 1251 points, I can drop the skirmishers or go for a 1250 point total. The longbowmen of the Middle Kingdom take aim at a mass of Ogres.... and fail to accomplish much. Archers really need to be in Line for the best shooting effect. The ogre press the attack home, The Longbows have wisely pulled back, hoping to "reload". One unit of Middle Kingdom knights dispatched it's opponent, but the others were... less successful. Evidently things went downhill quickly from there aided by Joe rolling a lot of 1's and 2's in Melee. I was helping Greg and Peter C work out the mass of combats on their half of the table, and by the time I looked over to take more pictures, Joe and Jacob were already packing it up! Thanks to everyone for bringing their armies and playing! Leadership D20 roll = 6 +2 = 8. Average Commander LD10, Command 8"
Leadership D20 roll 12 +2 = 14 Average Commander LD10, Command 8"
Leadership D20 roll 15 +2 = 17, Skilled Commander, LD12, Command 10"
Broad view of the Army of The Realm; probably needs some reserves? Frontal view of the Right Wing of the army. Center of the army featuring a Pike Block covered by skirmishing Crossbowmen. Left wing of the army; two ranks of longbows backed up by a unit pf HI Halberdiers; The Archduke rides with a unit of knights/Gendarmes..
Rear view of the Center of the army.Note the Wizard, with a clear field of "fire". Rear view of the right flank with Dragon and supporting Heroes. It took me forever to pick out the units from my collection, which got me thinking about how I have my Late Medieval/Renaissance armies organized for storage - part by Unit Type, part by army. This winds up being the worst of both worlds when looking for a unit or assembling an Army. I think I am going to change to organizing them strictly by army. This would include armies for Late Byzantines, Teutonic Knights, Hussites, HYW English, Renaissance Spanish, Renaissance French, Renaissance Holy Roman Empire, and Renaissance Italian States (Venice, Florence, Papacy, Milan). If nothing else it will provide motivation for some post Historicon painting! Easter weekend is of course the weekend of Passover as well, the two events being closely associated for many reasons, both obvious and not so obvious. Passover of course commemorates the plagues that Moses threatened the Pharaoh with, and God inflicted, and the resulting Exodus of the Hebrews from Egypt, their wanderings in the wilderness, and their eventual settlement in Canaan. I will leave the arguments over the accuracy of the account aside! In any event, Battle in the Land of Canaan will be taking place at Historicon this year! My Egyptians will face off against Ken Baggaley's army of Sea Peoples and Canaanite allies using Brent Oman's "Pulse of Battle" rules. The troops in this post are the latest additions to my Egyptians; I have 7 chariots and a dismounted Pharaoh to paint, and then the army will complete, hopefully by the end of May. Medium Infantry Archers, with the blue distinctive color of my Division Seti. I decided to change my plans and use three figures per base instead of four for these close order bowmen. The second unit of Egyptian Archers, with the Yellow color indicative of my Division Re. In Pulse of Battle, these troops will be deployed in Line, probably in front of or behind a line of Spearmen or Mace men from their Division.. It will remain to be seen how effective they will be... or not be! I need a few officers to lead my Pharaoh's troops, so I used some spare figures, made distionctive by the round bases and a cluster of flowers. One officer for each Division: Amun, Re, Seti and Ptah. Now, it's on to paint the last of the Chariots! The song was popularized in the modern era first by Paul Robeson. What a powerful voice he had! The King's College Choir, "Jesus Christ is Risen Today"
Regardless of your race, culture or faith, I wish you all a blessed day, and a fond welcome to an overdue Spring... at least here in the Northern Hemisphere! Troop Scale: 1 Infantry Unit = 600 men, 1 cavalry unit = 400 men, 1 Artillery unit = 8 - 12 guns. Background: The Battle of Montmirail resulted from Napoleon's attempt to defeat the somewhat dispersed component's of Blucher's Army of Silesia in detail following his victory at the Battle of Champaubert the preceding day. There is a good overview of the local situation here, as well as in some of the references below, so I won't waste words relating what others have already done better! Napoleon's objective is to destroy Sacken's isolated Russian Corps. Sacken's objective (before he realizes what he is up against, namely the entire Old and Middle Guard) is to open the road to Vauchamps. The Prussians are to assist Sacken, but also not allow the French to seize the key road to Vilfort. Map: The Petit Marin river is unfordable, the stream is Class II. Both hills and the woods are all Class II terrain as well. The villages are Class III terrain. Scenario Rules: The ground was noted to be extremely muddy; therefore all Artillery move at HALF their usual rate. If the Russians lose the villages of Marchais or Les Genereux, they must surrender 4 Morale Points each to the French. Similarly, if the French lose Les Tremblay or the hill nearby to it, they must surrender 4 Morale Points each to the Allies. Finally, if the Prussians lose the road exit to Vilfort, the Allies must surrender 6 Morale points to the French. In all cases, the lost Morale Points can be regained if they retake the lost objective(s). Deployment: The French (blue), Russians (green) and Prussians (red) deploy as shown on the above map. French Reinforcements: Michel's Middle Guard Infsantyry Division arrives, deployed, on the first French MOVE card. DeFrance's Gardes d' Honneur Division arrives, deployed, on the second French MOVE card. Prussian Reinforcements: Jurgas' Prussian Cavalry Division arrives, in column of March alomng the road, on the First Allied MOVE card. Victory Conditions: Play continues until one side concedes or fails Army Morale. The margin of Victory will be determined by the number of Morale Points by which the winning side exceeds the losing side: less than 5 = Marginal, 5 – 14 = Major, 15+ = Decisive (only counts if the other side also failed Army Morale, otherwise only Major). Note: I have made some very minor changes to the historical OOB to reflect my own preferencess (such as grouping the 2 Guard Lancer regiments together, and standardizing the composition of the Russian infantry Corps/Divisions) I posted a Battle Report of the playtest of this scenario earlier this month, which lead to minor modifications which are reflected in the final scenario above. Vive L'Empereur! Project Montmirail - includes OOB's and thoughts on wargaming the battle. The antecedent to the British 7th Infantry Regiment, in our era known as the Royal Fusiliers, was formed in 1685. It was originally raised to serve as a guard for the artillery train and thus was armed with flintlock Fusils instead of the usual matchlock muskets, which were hazardous around loose powder. It acquired its name and number in 1751. The precursor to the 23rd British Infantry Regiment, "the Royal Welch Fusiliers" was formed in 1689, making it another of the oldest regiments in the Army. It was designated as the Welsh Regiment of Fusiliers in 1702, and was awarded the Royal title in 1713. Their badge was the 3 feathered cap of the Prince of Wales. A regimental peculiarity was the keeping of a goat as a member of the regiment, ranking as a corporal, and always named "Billy"! The final Fusilier regiment at the time of the Napoleonic Wars dates back to 1678; it was designated as a Fusilier unit in 1691, an named the Royal North British Fusiliers in 1712, and was numbered as the 21 st Regiment in 1751. After our era it underwent another name change to the Royal Scotts Fusiliers in 1877, keeping the 21st number until regimental numbers were abolished in the British Army in 1881. The 7th Infantry Regiment, "Royal Fusiliers"; the White Horse of Hanover appears on their regimental standard (by GMB). The bearskins were not worn on campaign, but who can resist them? Besides, without them, the only real Fusilier distinction is that all the companies have the solid white plumes of Grenadiers. Being a Royal regiment, they of course have the dark blue facing color which appears on the collars and cuffs. I think I have made an error by giving them dark blue wings as well... it seems that may have been unique to the three regiments of Foot Guards. The back of the bearskins had a solid re patch - if these were Grenadier bearskins, a white grenade emblem would appear as well. Supposedly the Fuiliser bearskins were shorter than those worn by actual Grtenadier companies for full dress, but these Old Glory figures have rather large ones anyway (which I like). As the Old Glory figures come 30 to a bag, the extra 12 figures were used to make a second unit, the Royal Welch Fusiliers. The regiment was another of the long established regiments in the British army, which accounts for the achaic spelling. It was "corrected" to Welsh after the Napoleonic era, but later changed back to the original, old fashioned spelling as a mark of respect for the unit's long history! The uniform of the 23rd Regiment differed only in minor details from that of the 7th (chiefly related to the pattern of the lace on the chest and the worsted running through same), which are essentially inapparent even in 28mm scale. I have substantial Welsh ancestry (my maternal grandfather) and even a Welsh middle name. I am given to understand that Englishmen consider the Welsh to be almost as ":frugal" as the Scots. In keeping with that, I have given the King's color of the 7th regiment to this, the 23rd! I imagine the proper color would have the feather cap of the Prince of Wales or a Welsh dragon badge somewhere on it. These will likely be the last British I paint until after Historicon in July, unless I get all the remaining painting needed for the games that I am running there done ahead of schedule. After that the focus will be very much on finishing everything I need for the battles of Waterloo and Ligny to be run at Historicon 2015. Initial setup: French right Flank - far right -Young Guard Cavalry Division (as my friend James would say, "disguised as Line Dragoons, Chasseurs, and Lancers"), middle ground small 1st Old Guard Cavalry Division of Polish and Dutch Lancers of the Guard, far left part of the 2nd Old Guard Cavalry Division. Initial set up: French Center - far right 2nd Old Guard cavalry Division, including the Empress Dragoons, and 2 Units Guard Chasseurs a Cheval (the 2nd including the Mamelukes), 2 units of Guard Grenadiers a Chveal (the 2nd with 2 stands of Elite dragoons in bearskins, shortly to be replaced with Gendarmes d'Elite), middle ground, Guard Artillery, 2 units each a Cheval and a Pied, far left Old Guard Infantry Divuision of 6 units (including Italian, Polish, and Wurttemburg Foot Guards as stand ins for three of the units). Initial Set up: French Left flank - Ricard's Division of conscripts. They performed admirably this day historically, under the eye of the Emperor. Initial Set Up: Russian Right Flank - 2 Russian Infantry Corps (Stcherbatov and Lieven III), each Corps of 2 Divisions, each of 2 Jager and 4 Line units, plus 4 batteries per Corps - 2 x 12#, 1 each x 6# Foot and Horse).These are Barry's beautiful Front Rank figures. They are considerably larger than my own Foundry/Old Glory etc mix, and he bases his units a bit differently - 4 stands of 4 figures, each stand in 2 ranks. While my own units actually have 18 figures on 4 stands, for FoB games with others I usually only use 4 of the stands for clarity. My wife came home shortly after we started playing, and saw the masses of troops that Barry had on the table, and assumed that I was losing badly! Initial Set Up : Close up of Stcherbatov's Corps, Russian far right. Impressive! Initial Set Up: Close up of Lieven's Corps... likewise! After seeing these pics, I am thinking maybe I'll field my French Infantry units at their full 18 figure strength for this battle when it is run at Historicon! Initial Set Up: Russian Left Flank - Vasiltchkov's Russian Cavalry Corps - 2 Divisions, one of 4 Hussars and one of four Dragoons, supported by a 6# Horse Battery. Barry's Dragoons have established a notorious track record of under performance in our games so far, handsome though they are. Will today be different? Seen of in the far distance, Pirch's Prussian Infantry Brigade, marching to effect a union with Sacken's Russian Command... call me, maybe? The French win the first imitative roll, but turn a succession of useless (at this point) cards). The Russians maneuver the trailing Division of Stcherbatov's Corps to march to the flank. The entire French Imperial Guard cavalry - 12 units - trots forward, trying to intimidate and overwhelm their Russian opposition. Michel's Middle Guard Division enters the battle, swinging out to the French left flank in support of Ricard's raw conscripts. The first of a great many cavalry charges on the day - 2 Young Guard regiments charge the leading Russian Hussar units - they look small because these two are the only Russians I contributed (old Glory figures). One unit of Russian Hussars is destroyed, but the remaining melee ends in a draw, and will continue later. The French turn an Artillery Reload Card. They could have used the (potentially devastating) Grand Battery fire, but this would leave them "unloaded until the next such card, and that seemed too risky. Instead, they pounded the only available targets - the masses of Russian Artillery deployed opposite them at long range. Perhaps the (nearby) Emperor laid some of the guns himself, as 2 batteries of Russian guns are destroyed. The Russian return fire fails to make any discernible impact of the the Artillery of the Guard, much to Sacken's dismay (I rolled very high and Barry... did not!) . he even brought his own dice today. He should have taken the famed "Jalepeno Dice", instead, I think! The cavalry of the Guard charges again, their targets including the lone Russian Horse battery on the Russian Left. Another view of the swirling Cavalry melee on the French right. The French bare attempting to use their advantage in numbers and quality to seep aside the Russian horsemen, and thus threaten the flank of their infantry and prevent the Prussians from actively intervening. Aftermath - Russian Horse battery over run, one Young Guard cavalry regiment broken, and the third repulsed. The 2nd battalion, Arsamass Hussars turned in the star performance of the game for the Russians. Brown is Beautiful! The French turn the Army Morale Check Card - they are a long way about having to worry about Army Morale, BUT this card requires the officers of any command(s) that have taken losses to fire and/or been in Melee since the last such card . If they roll a "1", they are a casualty, and their Division goes Out of Command. The rules call for rolling a D12, but we found that to be too sanguinary, so we changed it to rolling a D20. So, I roll two 1's in a row on my D20, and as fast as you can say "boda-bing, boda-boom", both Laferrière-Lévesque and Guyot are hors de combat! The Prussians, having flubbed their rolls on their (earlier) first attempt to Move, finally get under way towards the action. The bridhe at the edge opf the table is representational of the key bridge at Villefort..
"Hey you just left us... and that was crazy; but here's your ADC, so we'll come rescue thee.. maybe?" Grenadiers lead the Prussian advance, one unit deploying into the village of Fontenelle, one unit forming square to cover the bridgehead, and one deploying into line and shooting a few Young Guard cavalrymen out of their saddler, driving them back. Fresh cavalry charges - the Arsmass Hussars take on another Young Guard cavalry regiment, while a second Young Guard cavalry unit is charged in the flank by the blue clad Irkutsk Hussars. In the center, a solitary unit of Russian Dragoons in line is charged by waves of both Guard Grenadiers and Chassuers a Cheval. Aftermath - Russian Draggons trampled under and eliminated, the flanked Young Guard regiment manages to avoid destruction and faces their attackers, and the Arsmass Hussars repulse their opposing Young Guard unit... again. The Prussians see some action around Fontanele. Meanwhile, the Grenadiers a Cheval use a Melee card to charge a Russian Dragoon unit, which was swept off the table so quickly I didn't even get a chance to get a picture of the action (rightmost/most forward French unit). Guyot, freshly back in the action after having his wounds dressed, is hit again. "Sacre Bleu, do these Ruskis think I am perhaps Marshal Oudinot?" he whines as he is knocked from the saddle again! On the next melee card, the Russian Hussars have finally destroyed the opposing Young Guard cavalry, while the Arsamass Hussars have routed another French Young Guard cavalry unit (by finally reducing it to zero Unit Integrity). The Prussian Cavalry enters the table, but the terrain limits their deployment. Still full of fight, the French Guard cavalry make multiple charges, resulting in five melees! Meanwhile, on the same Move card, both the Old and middle Guard Divisions roll triple moves, and rush forward to the attack; it is a given that they will take significant losses from the masses of "loaded" Russian Artillery at the front of each Corps, but enough should survive to be able to return the favor with their own musketry! Meanwhile, the last of the French troops saunter on to the table. Gardes d' Honneur "disguised" as French line Hussars. Aftermath #1 The old Guard shrugs off the Russian Artillery fire in the center, and are poised to assault the guns! Aftermath #2, the Polish Lancer of the Guard have destroyed the 1st battalion of the Arsmas Husars, while the Dutch Lancers and Irkutsk Hussars have traded blows to little effect. The Middle Guard has taken losses, but two of the 4 Russian batteries of Tscherbatov's Corps ave been eliminated, and the other two are "unloaded' and vulnerable... for the moment! Further cavalry melee resolution sees the Irkutsk Hussars destroyed by the Dutch lancers, and the 3rd Russian Dragoon unit has been destroyed; the final Russian Dragoon regiment saves some face by repulsing the Chsseurs a Cheval of the Guard with loses. This happens to be the regiment that Barry painted up as Dismounted Dragoons as well as a mark of dishonor for conspicuous under performance of the Field of Battle. Perhaps it has worked as a motivator as intended? Regardless, the Russian left flank is looking very, very open now. Where are those damned Krauts? The Middle Guard infantry (many disguised as fancy Front Rank Young Guard Tirailleurs and Voltigeurs in tall plumes) close with a "silenced" Russian battery (note the 2 rocks and the artillery debris marker behind the near Russian battery), eliminating it, while a second unit fires on the other battery at close range. The Old Guard Division has used their muskets to blast away another Russian battery of Lieven's Corps, only to unmask a mas of Russian Jagers and Musketeers behind them! Symbolic of the their hard fighting, yet another French Guard Cavalry Division commander is hit; this time it is GD Colbert, commanding the Lancer Division. The muddy field was renamed the Bloody Field after the events of this day! The 2nd battalion, Arsamass Hussars wins at least their 4th combat of the day, routing another Young Guard cavalry unit by reducing it to zero unit integrity! However, the Chassuers a Cheval of the Guard have charged again, and this time the final Russian Dragoon regiment is scattered to the winds. Five units of Old Guard cavalry with no enemy in sight! "I have a bad feeling about this" mutters Ivan, whilst Barry gets in the face of his miscreant Dragoons, threatening them with... E-Bay! Uh-oh! Three French Old Guard Cavalry units charge home; none will count as flank charges, but the Horse Artillery battery is "unloaded", and the two infantry units lack sufficient field of fire to shoot in their own defense, either. * "For what we are about to receive. make us truly grateful!" Meanwhile, the Dutch and Polish Lancers of the Guard turn to threaten the pesky Russian "Brown" Hussars, and also discourage an excess of initiative by the nearby Prussians! Aftermath of the Old Guard cavalry charge - Russian Horse Battery destroyed, Musketeer Regiment forced off of the table, and the Jager regiment forced back to the table edge... and a wide open Russian flank! "Сохранить О Боже, народ Твой"
The French are nearing the end of a huge, 11 card Impetus run, and very good cards and a generous dose of luck have helped Napoleon make the most of it. The Old Guard cavalry charges yet again! and the seemingly inevitable aftermath! The Russians now have 11 cards of their own to play, but have the Old Guard cavalry to their left flank, and the Middle and Old Guard Infantry to their Front. They are actually still ahead on Morale points due to their substantial advantage in troop numbers at the outset, but have 8/9 artillery batteries, 7/8 cavalry regiments, and 6/24 infantry units out of play! There are 12 units of fresh Prussian allies available, but they are 4 feet away from the action, and with intervening French Guard Cavalry and Artillery to oppose them, they might as well be in Berlin. French losses were not light, but completely eliminated units amounted to 1 Old Guard and 2 Young Guard Cavalry, one Old Guard Infantry, and one Line Foot Battery. We scanned through the eleven Russian cards, and there were no game changers; Sacken opts to withdraw. With his lines of communication cut, he can expect heavy losses in stragglers, etc before he is at last able to link up again with York and Blucher. The Corsican Ogre is not finished yet, it seems! I will make some minor changes to the scenario based upon this test, and post it here later this month. I tink I will use a mostly brown table cloth for the Historicon version - the battle was far more notable for mud than snow, even though the white table looks pretty!